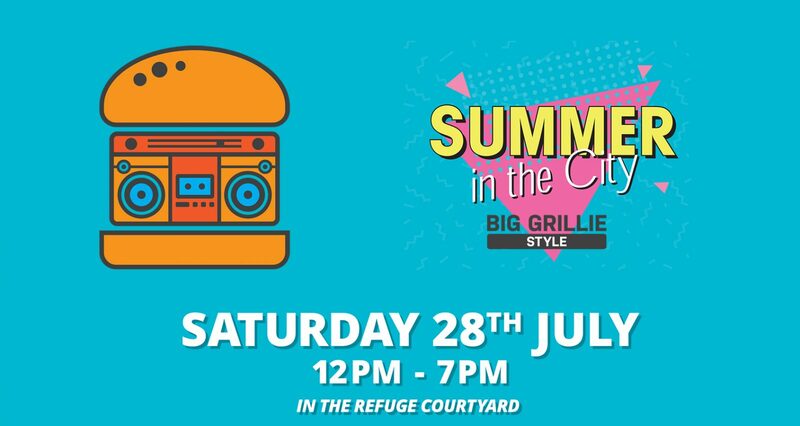 It’s a well known fact that hip hop and barbecue go together like two peas in a pod, so who better to host a very special pop-up bloc party style than the minds from the renowned grill masters at Big Grillie Style? They’ll be coming up the road from Joshua Brooks to cook up a Refuge inspired menu for you to enjoy alfresco style in our courtyard, with a cold beer from the guys at Camden Town Brewery. Beats will be provided by guest selectors Martin Brew, Claud Cunningham, Andy Newens and Ruby Basson.